The 2017 Open Championship was the 146th on 20th – 23rd July at Royal Birkdale at Southport, England. The Birkdale Hills offer majestic panoramic views of the Lancashire coastline out to the choppy waters of the Irish Sea. Golf’s third major of the year saw reigning champ Henrik Stenson ranked outside the top ten contenders at 25/1. Dustin Johnson was the favorite at 10/1. Behind him were Jon Rahm (12/1), Jordan Spieth (12/1), Rory McIlroy (15/1), Justin Rose (15/1), Rickie Fowler (15/1), Sergio Garcia (15/1) and Tommy Fleetwood (20/1). Thongchai Jaidee was making his 11th appearance at the British Open. The other two Thais at Royal Birkdale were teenager Phachara Khongwatmai and 51-year-old Prayad Marksaeng. Ranked number three in the world, US golfer Jordan Spieth was the eighth first-time Open winner in the last nine years. A three shot lead going into the last round was erased after just four holes. He went on to seal the deal late with a flurry of birdies and eagles on the back nine and won by three shots over fellow American Matt Kuchar to take the Claret Jug at 12 under with a 268. 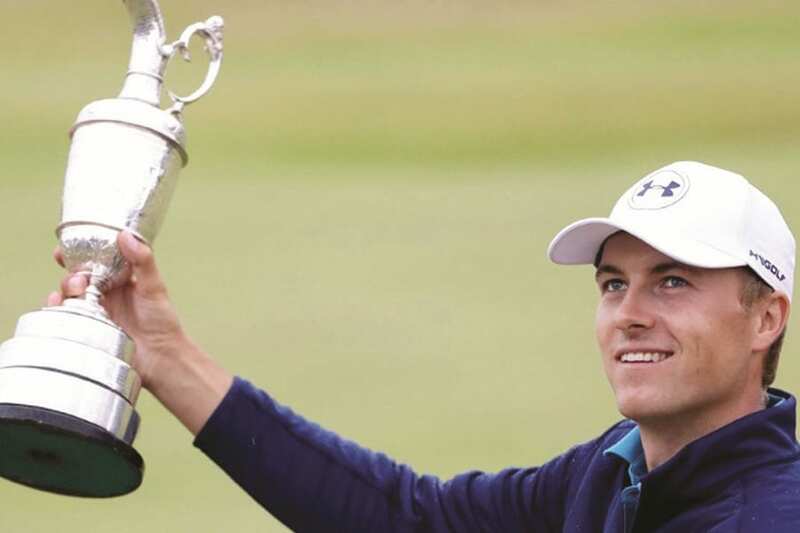 As the Champion Golfer Spieth won US$1,845,000 with a total prize fund of US$10,250,000.